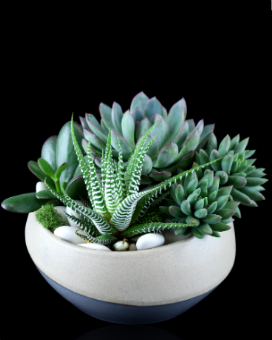 Our miniature succulent garden will add life and clean air to any setting no matter what your space restrictions are. Just the right size to fit on a small night stand or even your office desk! *Due to availability, plants shown may vary. Comparable substitutes may be made if part of a design is not available.